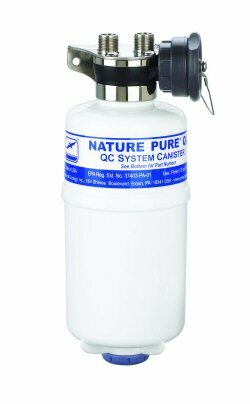 Nature Pure “QC” Systems eliminate the need for traditional pressure vessel “housings”. 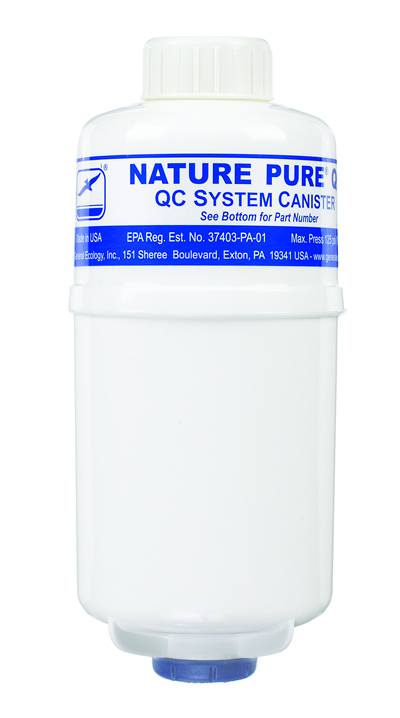 Instead, small, lightweight, replaceable canisters are handturned into compact stainless steel “interface units with integral stainless steel mounting brackets,” which are easily and conveniently integrated into boat, motor home and other fresh water systems. There are no v-clamps, shear rods, toggles or similar closures. 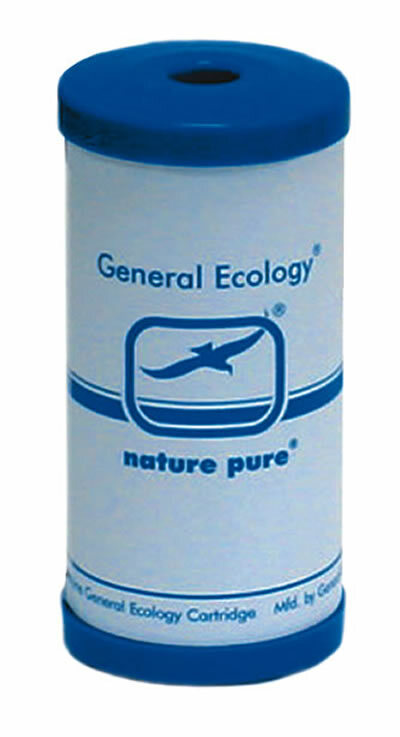 I have just returned from my boat having fitted the Nature Pure QC water filter. The whole job from start to finish took me only half an hour. I first fitted the bracket holding the interface with 3 screws just inside the cupboard on the hinge side to give easy acess for filter changing but not to be in the way for usual cupboard use.The second stage was to drill the hole for the very smart looking faucet. I then fitted the supply pipe from the interface to the faucet and used cable ties to keep the pipe towards the back of the cupboard and ensure smooth curves in the pipe. The second pipe as supplied was the only item needing modification and that was only cutting the screwed cap end off and pushing an insert into the pipe. I then inserted the pipe into the supplied H2O plastic tee piece, cut the cold water supply pipe and fitted the tee piece in position again ensuring a smooth pipe run to the interface and the screw cap connection. 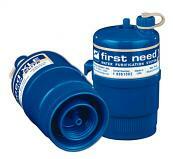 Water filter canister screwed into interface, water supply turned on and system flushed through. The faucet lever action is very smooth and easy to use it stays in the open position unaided so makes filling a kettle a one handed job. I am sure that when it comes to filter changing time that it is very easy with the automatic shut off of water at the interface. I think the whole unit is an extremely well engineered piece of equipment and I thank you once again for it.